Mumbai-The Reserve Bank of Indias Central Board met in Mumbai and discussed the Basel regulatory capital framework, a restructuring scheme for stressed MSMEs, bank health under Prompt Corrective Action framework and the Economic Capital Framework of RBI. 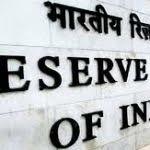 The Board decided to constitute an expert committee to examine the ECF, the membership and terms of reference of which will be jointly determined by the Government of India and the RBI. The Board also advised that the RBI should consider a scheme for restructuring of stressed standard assets of MSME borrowers with aggregate credit facilities of up to Rs 250 million, subject to such conditions as are necessary for ensuring financial stability. The Board, while deciding to retain the CRAR at 9%, agreed to extend the transition period for implementing the last tranche of 0.625% under the Capital Conservation Buffer (CCB), by one year, i.e., up to March 31, 2020. With regard to banks under PCA, it was decided that the matter will be examined by the Board for Financial Supervision (BFS) of RBI.